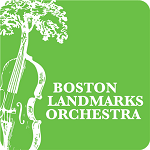 The Boston Landmarks Orchestra presents one of the nation’s only remaining free outdoor summer orchestral concert series that provides music of the highest level of artistic excellence, unique performances, and music education and appreciation programs that reach hundreds of Boston youth every year. We depend on your contributions to the annual fund, special events, and memberships to help keep the music playing! Here are some ways we say thank you for your generous support. The Music Director’s Society is comprised of our most generous donors who contribute an annual leadership gift to the Boston Landmarks Orchestra. Members are invited to experience the creative process firsthand and mingle with our Music Director, our musicians, guest artists, composers, and community partners throughout the year. Exclusive opportunities and benefits are available at different giving levels.